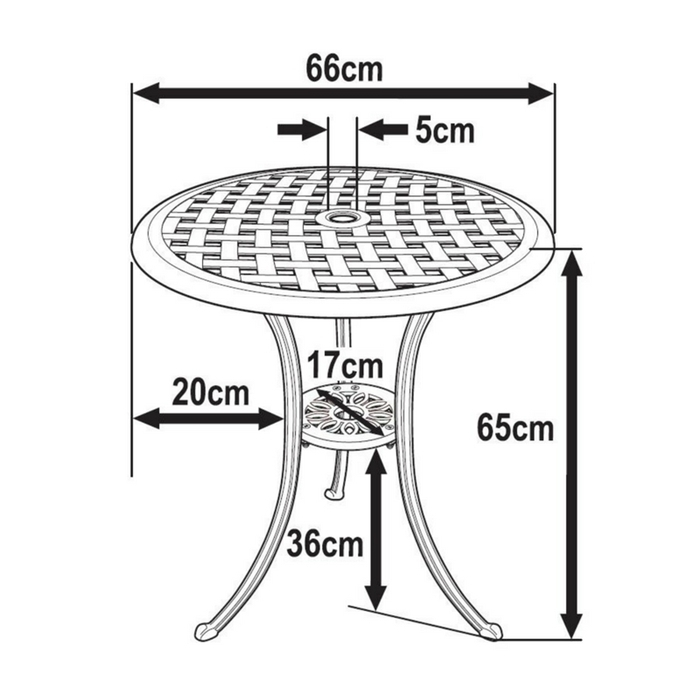 The Betty bistro table set is a stylish two-seater table and the perfect choice for smaller garden spaces, or even for use on a balcony. Enjoy al fresco dining with the Betty bistro set, and casual drinks on sunny evenings. 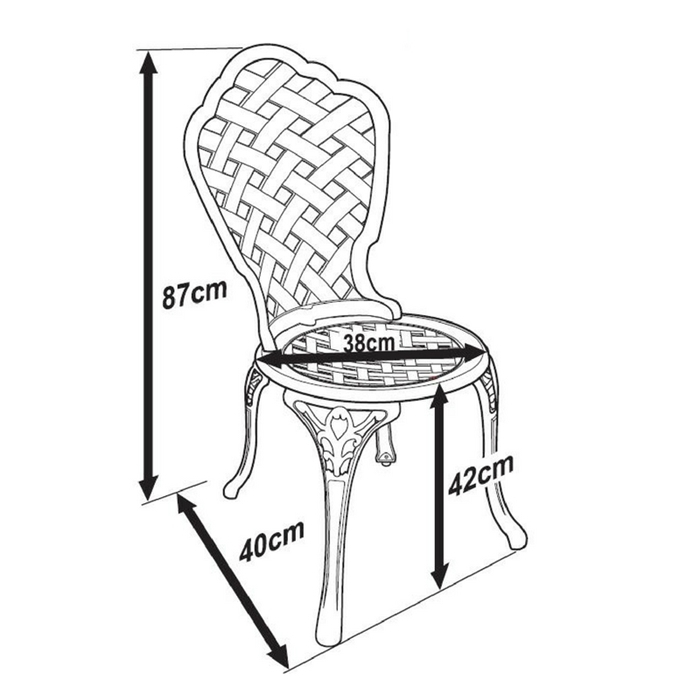 The Betty bistro set is also lightweight which makes it easy to move around the garden until you find the perfect spot for it to remain. The Betty bistro table & 2 bistro chair set in Slate Grey brings a subtle touch of contemporary class to our beautiful, classic-style garden furniture range. 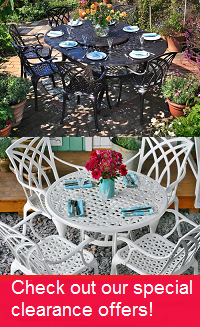 If you're looking to achieve the perfect picture of luxury in your garden, take a look at the Betty in brilliant White or our ever-popular Antique Bronze.